Northwestern University’s new food service partner, Compass Group, welcomed its first diners Sunday, July 1. To ensure a smooth transition, we have compiled a list of frequently asked questions. Click on the questions below to expand each answer. Who do I contact to discuss catering needs or place a catering order? Compass Group will take over on September 1, please follow current procedures until that date. Who do I contact if I have a special dietary need or allergen? Please reach out to our on-site dietitian Lisa Carlson for any questions about special diets and allergens: Lisa Carlson, Lisa.Carlson@compass-usa.com, 331.201.8706. How will Compass meet my unique (allergy, religious, gluten-free, vegan, etc.) dietary needs? Compass Group provides a wide range of dining options and programming to meet all dietary needs. We are bringing “inclusive dining” to each residential dining hall on campus. Each location will serve up dishes that meet the needs of students with allergens and special diets, including halal and kosher foods. We will launch a digital allergen card program and utilize a variety of messaging tools, from product identifiers to a dining website and app that will effectively communicate the foods that are offered as well as their nutritional content. Compass Group takes pride in offering diverse dining options as part of its standard program, but also will customize those options to create personalized dining experiences with personally prepared dishes. Where do I find menus, nutritional facts, and pricing? All of our menus will be online on our dining website and also on our dining app. The menus will become available on the website and app closer to Fall opening and will include all nutritional information. Additionally, menu items in the Dining Halls will have menu identifiers next to the dishes with menu name and nutritional facts. Retail menu boards will have calorie counts per FDA regulations and pricing on the menu boards. The door rates to all dining halls will be posted at the entrances to each dining hall. Meal Plan pricing will be available on the dining website. Where do I direct general questions, concerns, and ideas about the dining program? What will happen to the current Sodexo and Aramark food service workers? 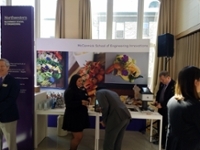 Compass Group is committed to offering employment opportunities to all of the incumbent dining associates at Northwestern University. Associates in the Unite HERE Local 1 Union will be offered matching pay, seniority and benefits. All associates who wish to apply can do so via our website: www.dineoncampus.com/northwestern. When will Compass replace Sodexo and Aramark? Compass Group will take over dining operations on July 1, 2018 in Evanston (excluding Kellogg which will occur on September 1) and all Chicago locations. What on campus will change? Compass Group is excited to bring numerous new brands, local partnerships, sustainability and wellness programming, student experiences and internships, celebrity chefs and teaching kitchens, and food insecurity initiatives to campus. What will the concepts in Norris be? Norris will be home to a wide variety of great retail brands including Starbucks, Dunkin Donuts, Mod Pizza, Wildcat Deli, The Market C-store, Asiana-Foodville, Budlong’s Hot Chicken, and Juicy Lucy by Amy Morton. Find more detailed information about each location on our dining website. How will I know what locations are opening during a construction period? All information regarding dining hours and dining locations along with construction updates and what is coming to campus will be housed on our dining website which will be July 1, 2018. How will Compass partner with SustainNU? Compass Group believes the health of our ecosystem is directly connected to the health of our communities and the people who live in them. Acting responsibly is part of our company DNA, and we are committed to offering foods and approaches that are earth, body and community friendly. We are committed to honoring Northwestern’s respect for the environment by minimizing our environmental impact through sustainable initiatives. Our Balanced U sustainability approach addresses four basic tenets of sustainable and socially responsible business practices: Eat Green, Build Green, Run Green and Return Green. We look forward to working together with SustainNU to continuously partner on new initiatives that bring cutting edge sustainability practices to NU. What is Compass’s commitment to local and diverse businesses? Compass is excited to bring new partnerships to campus that support local and diverse businesses. Juicy Lucy, a concept by local Evanston restauranteur and Pho U powered by Asiana a local MBE business will be coming to the Norris Campus Center as will the regional brand Budlong’s Hot Chicken. In addition, we are partnering with Saffron a local WBE business to bring Middle Eastern and halal foods to campus and a rotating sample of local businesses (all part of our Purple Fleet). Lastly, we support our local farmers and purchase locally whenever possible. We look forward to continuous exploration and building of local and diverse partnerships at NU. Where I can find Compass's website? After an extensive evaluation and considerable collaboration with all units responsible for food service on campus, the contract has been awarded to Compass Group. We would like to thank both Aramark and Sodexo for their strong partnership with Northwestern over the last several years. This was a lengthy, comprehensive, thoughtful, and fair process. We received strong proposals from Compass, Aramark, and Sodexo. The award recommendation was based on a best-value assessment of the following key aspects of each vendor's proposal: creativity of proposed food service concepts, quality of the food, experience of the leadership team and key personnel, operational capabilities, proposed menus and pricing, campus-wide technology solutions, commitment to sustainability and business diversity, and value of their proposed financial package. The primary next step is existing employee recruitment. We know that engaging the existing employees will ensure continuity of service and limit business disruption. We know the sensitivity of this type of transition so their first priority is to engage the incumbent service provider staff. Our first goal is to relieve any anxiety the existing associates have related to employment. Compass will ask 100 percent of the incumbent hourly associates to join them and be part of their mission and vision to deliver great food and service at Northwestern, giving them the opportunity to maintain their pay, benefits, and seniority. The transition will take place over the summer and more information will be forthcoming. Food service is a major factor in creating an optimal campus experience and a sense of community. 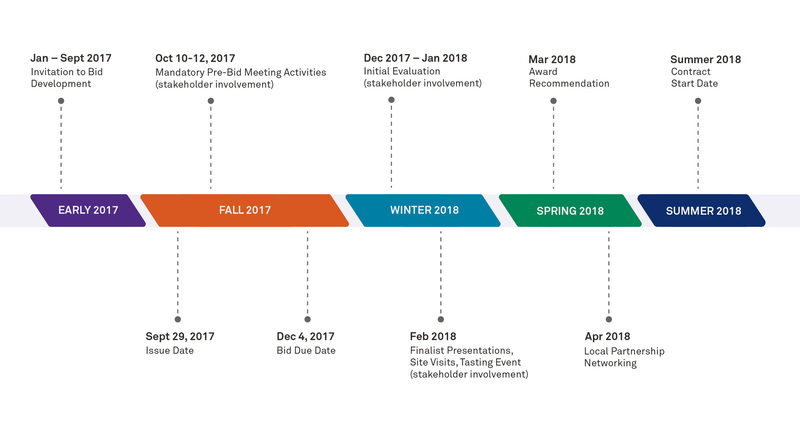 Current food service agreements on campus all expire at the same time, giving the University a chance to review and reimagine its food service strategy. In an effort to continue improving the overall quality of life for those attending and working at Northwestern University, we are excited to begin the process of evaluating dining options. This includes services that range from campus dining/meal plans and conference center support services to catering and concessions at athletics events and vending. Aiming to create a University-wide, high-quality food and dining experience, the review will be led by Procurement and Payment Services, who will issue a formal Invitation to Bid to solicit proposals from food service firms interested in competing for the contract. 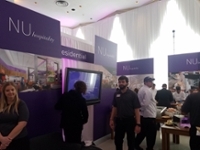 The process will be driven by an enterprise-wide food service strategy that prioritizes excellent food, optimized services, creative meal plans, sustainability, and cost-effectiveness for Northwestern and its customers. Department and school stakeholders involved include Student Affairs, the Kellogg School of Management, the Department of Athletics and Recreation, the Northwestern University Feinberg School of Medicine, the Northwestern University Pritzker School of Law, the McCormick School of Engineering, Auxiliary Services, and SustainNU. The extensive process will also include input from many other primary stakeholders, including students, faculty, and staff, at various points during the process. An Invitation to Bid (ITB) is a request for proposals issued by an entity (in this case Northwestern) interested in the procurement of a product or service needed by the organization (in this case food service) to potential suppliers. It is a competitive bid process that includes requirements, scope of work, and terms. Bidders are expected to submit proposals that address the needs of the University and provides Northwestern with what it needs to make the most informed decision as to which vendor will deliver the best value to the University. The entire process consists of pre-bid meeting activities (e.g. campus tours, stakeholder meetings), a question-and-answer period, proposal clarifications, finalist presentations, site visits, best and final offer, final negotiation, and potential taste tests. How long does an ITB take? A traditional ITB process may take between 3 and 6 months to complete. However, due to the complexities associated with an extensive and strategic contract such as enterprise-wide food service, the University has planned for a 12-18 month process. The goal is to establish a comprehensive new contract beginning in the fall quarter of 2018. What were the process steps for this ITB? The formal Invitation to Bid (ITB) for University-wide Food Service was issued on September 29, 2017. A tour of all food service locations was given on both campuses. A survey was completed by the Northwestern community. Students, faculty, and staff were involved in focus groups. The purpose of the pre-bid activities was to inform the bidders so they were able to submit a proposal that best meets the needs of the University, students, faculty, and staff. The Northwestern evaluation committee met regularly to review the proposals. Finalist presentations were given by three Food Service providers to the Northwestern evaluation committee during the week of February 5, 2018. 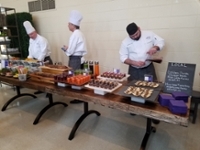 During finalist presentations, the Food Service providers also hosted a presentation and tasting event for Northwestern students, faculty, and staff representatives. A feedback form was completed by participants. Northwestern evaluation committee representatives traveled to peer institutions for site visits during the week of February 12, 2018. Best and final offers were received. All of the bidders made a commitment to ensure 100% of incumbent hourly associates are invited to join them and continue their employment on Northwestern's campus if they are awarded the contract, giving them the opportunity to maintain their current pay, benefits, and seniority. The Northwestern evaluation committee continues to meet regularly, and the contract has been awarded to Compass Group. If you have any questions about this bid, please contact Sheila Watkins, Procurement Administrator, at 847.491.8125 or s-watkins@northwestern.edu.